Fv153 219 Fleetview Drive, Halifax (MLS® 201900912 ) Welcome to Cresco -The Art of Building! Cresco is excited to introduce its newest ENERGYSTAR certified design located on Fleetview Drive in Bedford South. 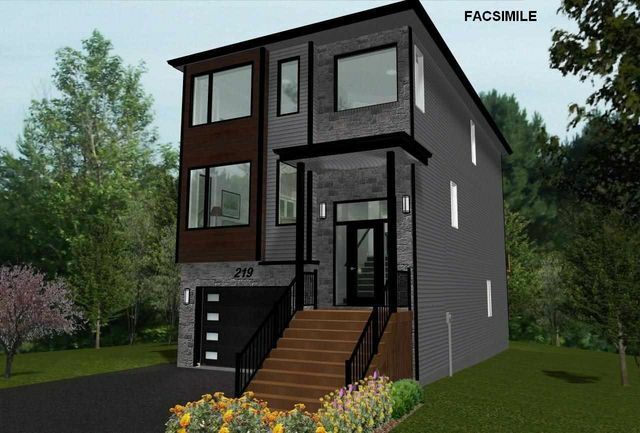 This impressive new design blends a sleek modern style and function with construction quality and energy efficiency providing you long term affordability. Along with all our quality finishes and fixtures this home offers natural gas, fully ducted heat pump, electric fireplace, full span backyard deck, hardwood floors and stairs throughout, quarts counter tops and an open concept design with large windows in every room. Upstairs is a large Master Bedroom with walk in closet and Ensuite featuring a custom glassed in shower and double vanity giving you that spa like feel. Also on this top level another two great sized Bedrooms, Laundry room with NG hook up, and main Bath. You will fall in love with the main feature of this home with its luxurious hardwood staircase which is open to both the upper and lower levels featuring a stunning light fixture that can be seen from all levels of this home. The lower level gives you another full Bath, 4th Bedroom and Rec Room with a walkout to your backyard which backs onto a designated park area providing you some privacy and green space. Ask how you can customize this layout for you and your family.